Having carved a niche as a supplier of tank and inventory management solutions which can interface to field devices from all leading manufacturers, MHT offers a range of software and hardware solutions designed to lower operating costs and improve safety. Launched in 2011, smartTAS terminal automation software is a scalable solution which can communicate directly with a single loading skid at a typical depot or multiple gantries at larger oil terminals. “Not only does smartTAS increase security through controlled loading but it also helps to reduce costs by increasing efficiency and quickly identifying any losses incurred,“ said Judith. “By working closely with a number of loading skid manufacturers and suppliers we can offer a complete solution. 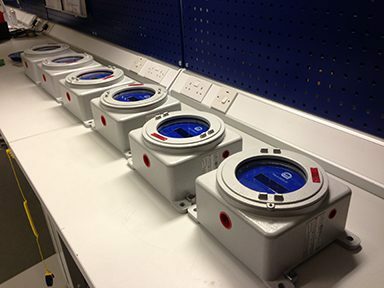 “Whilst a typical depot would have smartTAS, VTW and an ATEX approved Field Display, which provides level, temperature and volume data for multiple tanks, our systems are completely scalable and depots may opt to have just one element rather than the full package,” added Steve. In addition to its range of products, site surveys, installation and commissioning are all part of the company’s standard service offering and are tailored on a site by site basis, as Judith explained: “We offer a free site survey as part of our pre-sales process where we can demonstrate the system and get a real understanding of the customer’s requirements. 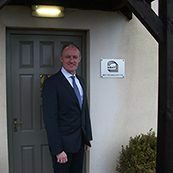 The company also offers face to face training and e-learning, both of which are proving popular with customers. Ensuring continuity of software systems is an essential requirement for most of MHT’s customers. With this in mind, the company has just launched a redundant solution for its smartTAS software, which enables a vehicle to load without interruption, even if the primary server has a hardware or software failure. In this instance a secondary server would automatically take over in a matter of seconds.